Every year Advancing Leadership Alumni dedicate countless hours to building a better community. In 2012, the Advancing Leadership Board of Directors created the Bob Wroblewski Servant Leadership Alumni Award to honor our graduates demonstrating outstanding application of their AL training in building a better community. 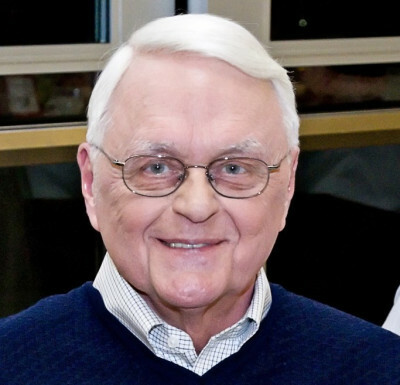 Bob Wroblewski is a founding member of the Advancing Leadership Program and its longest serving board member. His contributions to Advancing Leadership and the City of Federal Way continue to have a lasting impact on this community. This award recognizes alumni who are likewise engaged in transformational servant leadership. 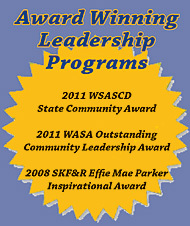 This award is for graduates of Advancing Leadership only. Any member of Advancing Leadership – alumni and board directors – may submit one nomination each year. Nominations are open during the month of September. An online nomination form is posted on this site and publicized to the Advancing Leadership community via email, local and social media. Only one winner is chosen each year. All nominees are recognized, and the winner announced, at our annual “Evening With the Stars” dinner and auction in October.